Neumann wants Opel to bring more EVs. FRANKFURT -- Opel CEO Karl-Thomas Neumann plans to resign as General Motors prepares to sell its European business to PSA Group, German newspaper Frankfurter Allgemeine Sonntagszeitung reported on Saturday. Without citing its sources, the newspaper said that while Neumann sees the sale of Opel to PSA as the right strategic step, he is concerned that the new owner is underestimating the growing importance of electric cars. Neumann plans to inform Opel's supervisory board about his decision at its next meeting on June 22, the paper said in an excerpt of an article to be published on Sunday, made available to Reuters on Saturday. Neumann wants to stay on board only until GM completes the sale of its European business comprising Opel and its UK sister brand Vauxhall to PSA, owner of the Peugeot, Citroen and DS brands, the newspaper said. Opel this week said the sale, valued at 2.2 billion euros ($2.46 billion), could be completed as early as July 31, pending regulatory approval from antitrust authorities. Neumann said in an interview in March he planned to remain in his job even under Peugeot, citing "great respect for each other." Neumann's mooted departure from Opel comes as the position of a top executive at Neumann's former employer, Volkswagen Group, has been called into question in the wake of a scandal over rigged emissions tests. The embattled chief executive of VW's Audi division, Rupert Stadler, only got a five-year contract extension last month because of an agreement among supervisory board members that he would not serve out his full term, two sources have told Reuters. 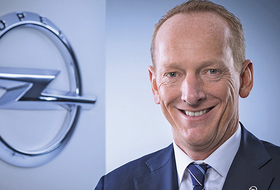 Opel's Neumann in 2013 joined GM to lead the U.S. carmaker's European operations, which include the Vauxhall brand, after losing out in a management reshuffle at Volkswagen.